This Spinia casino review will tell you all you need to know about this casino to make up your mind about playing there or looking elsewhere. 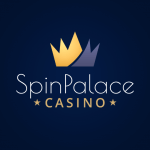 Spinia was founded in 2018 as an ambitious project catering to the needs of players looking for a secure and fun place to gamble. Licensed in Malta, it offers a decent selection of slots from great providers everyone is raving about and a light atmosphere of fun that you will be sure to appreciate. Down at Spinia you can play video slots with mesmerizing special effects, as well as more traditional casino games such as poker, roulette, baccarat and the like. In order to be able to take full advantage of this offer, you need to make maximum deposits. For instance, to claim the maximum bonus for your first deposit, you need to deposit a minimum of $100. Since the second deposit bonus is 50% of the amount you deposit, your deposit should be $300 – in that case you will be able to claim the full $150. However, do keep in mind that every bonus needs to be wagered, and in case of Spinia the wagering requirement is x40. Spinia slot race with a monthly prize fund of €30,000 divided between most active slot players every single day. VIP program with cash rewards for reaching each of the 10 levels, as well as better points conversion rate and higher withdrawals limits the higher you climb. Spinia can boast a great lineup of gaming providers, including Rabcat, Play’NGo, 1×2 Gaming, Spinomenal, Endorphina, 2by2, Playson, Vivogaming, GameArt, JFTW, NetEnt, BetSoft Gaming, Amatic, Pragmatic Play, Genesis Gaming, Habanero, ELK, iSoftBet, Booming Games, Platipus, Yggdrasil, EGT, Quickspin , Microgaming, BGAMING, Belatra and Mr. Slotty. There is no such thing as boredom while playing there – all the finest games by the best providers are there, and more keep getting added to the already impressive collection. Online slots are numerous and come in a variety of themes. There are top slots for most adventurous players, such as Book of Aztec, Book of dead, the legendary Thunderstruck II, Valley of the gods, Turn your fortune, Vampires, Pink elephants, Astro legends: Lyra and Erion, Bonanza, the super lucrative Mega Moolah and historic themed slots like Temple of Nudges, Ancient Troy etc. Surely enough you will discover a lot of new slots – such as The golden owl of Athena, Dwarf mine and many others. Spinia offers an exciting choice of table games that include blackjack, roulette, baccarat, poker, dream catcher, minesweeper etc. Some of them are offline version, but most are played against a live dealer. The live games section features a great choice of roulette and blackjack varieties, as well as baccarat. All games come in wonderful quality and feature professional dealers, both male and female, that make your experience feel like the real thing. To cater to the needs of players that prefer playing on the go, Spinia has a responsive website that can be viewed on any mobile devices. The advantage of having responsive design rather than having to download an app (which may not be compatible with certain operating systems) is clear. It enables you to log in from anywhere and enjoy playing your favorite slots, no matter if you are using a new computer or borrowed someone’s phone to kick back playing a brand new slot for a few minutes. Spinia offers a convenient choice of payment options that will certainly suit the needs of every player. 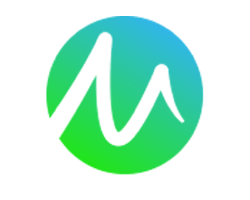 For deposits you have a choice between Visa, MasterCard, Trustly, Skrill, Maestro, Neteller, iDeal, Interac, iDebit, Instadebit, Paysafecard, ecoPayz, Sofort, Zimpler and Klarna. You don’t pay any commission when making deposits using any of those methods, and they are instant. As for withdrawals, these can be requested via Visa, MasterCard, Skrill, Neteller, Trustly, iDebit, Instadebit, ecoPayz and bank transfer. They are free and instant except for credit cards and bank transfer – these may take 1-3 and 1-5 days respectively. Spinia is a lively online casino that players are raving about. 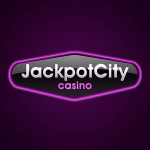 It offers an exciting choice of bonuses and promotions, fair wagering requirements, a wide selection of games to enjoy and total security when it comes to payments and personal information. This is the kind of casino you want to play at, as secure online gambling is what every player is interested in. With plenty of choices and constant growth of the extensive collection of games, Spinia is a worthy place to visit and make a deposit with.